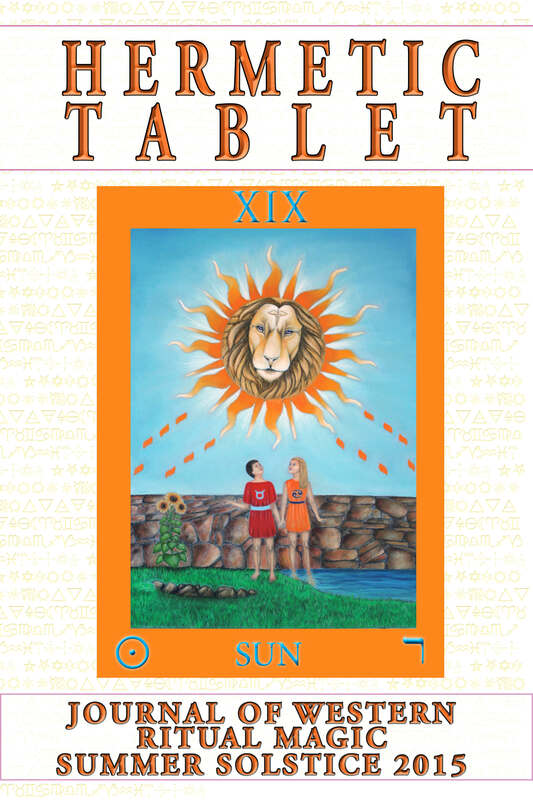 The Hermetic Tablet is a bi-annual Journal of Western Ritual Magic where people, from all traditions, share their experiences. 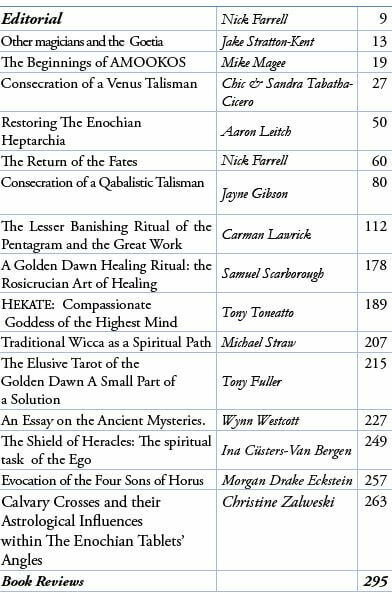 Some of the contributors are well known names in the occult field, while others are just those who want to share knowledge and experiences with the public. This issue includes articles written by the following writers: Jake Stratton-Kent, Mike Magee, Chic & Sandra Tabatha Cicero, Aaron Leitch, Christine Zalewski, Nick Farrell, Paola Farrell, Jayne Gibson, Tony Toneatto, Michael Straw, Samuel Scarborough, Tony Fuller, Wynn Westcott, Ina Cüsters-Van Bergen , Morgan Drake Eckstein, and Carman Lawrick. 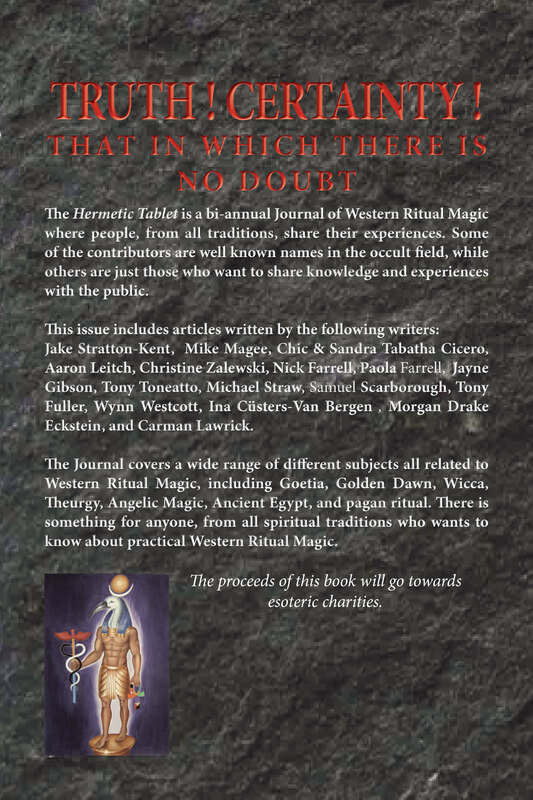 The Journal covers a wide range of different subjects all related to Western Ritual Magic, including Goetia, Golden Dawn, Wicca, Theurgy, Angelic Magic, Ancient Egypt, and pagan ritual. There is something for anyone, from all spiritual traditions who wants to know about practical Western Ritual Magic.